apparently 10 crazy people from MA left this morning for leadville colorado-- for teh international burro pack race--- aug 5th?? i only hear the "outtakes" from the preparation-sounds like janine sent a bunch of rescue donkeys to colorado to some friend/ connection of her "equine rescue network" months ago to be "trained" so she and 9 others from here could arrive and participate in the 15 mile race-- where you run / walk/ meander the 15 miles next to/ahead of/ or behind your donkey -.. it maybe is teh only animal race i approve of because the people go every step with their burros-- and whips are not allowed... the videos i have seen look like a fun time is had by all. i do know the ppeople from here have been practicing running around hamilton and wenham with some of the rescues she has placed in that area-- and now and again she has picked up some of ours to practice with people... i am betting she has in mind running such an event around here eventually... it may take her years to develope, but i would bet money on it; and it would be fun. teh concept is correct... there is a great lack in things that are done just for fun... take almost any idea-- owning a pet dog... and someone will decide to make it a competition where one dog is deemed to be better than another... the other part of that is ... they then publish a magazine with winners names and people struggle and spend a fortune to get thier names included... the mundane ownership of a car has it's collection of car shows or races-- and magazines with prizes. IT ALL STARTED WHEN JANINE AND I WERE IN COSTCO TO BUY SUPPLIES FOR TEH BEER.BURGERS,BURRO PARTY, AND WE CAME TO A DEMO WITH 2 THINGS YOU STOOD ON to get shaken PLUS A GUY WHO RAttled on about the cures shaking would address. we approached the thing as we would an amusement ride-- and listened politely to the guy selling the things...-- maybe 4 minutes... and then i got off. the ZAAZ paperwork does talk of increased circulation- which i think sounds right... the fact that costco sells them also had some influence-- they do seem to look over the things they sell..
it is getting crowded in here with the stove still here, so i am waiting to get the jogger out to move.. maybe by mid week we can have a mail call about it. Good morning, just wanted to drop you a line and let you know we are having a great time out here on the west coast. The weather has been great. It's been in the 90's since we arrived but no humidity at all. I could learn to love this.. HAHAHA! Tanner officially started baseball camp yesterday with a smile from ear to ear. It was tough to see him walk away but he was so excited to learn from the best in the business of NCAA Baseball. the shelves of our supermarkets are about the same. as unfortunately are our candy shelves. it has gone on for a while luckily SANDRA ( AZ) is keeping a list... THE PART THAT IS VERY INCLINED TO TRIP ME UP IS SOMEONE'S NAME MIGHT BE FRANK ENSTEIN OR LUNA TICK. I FIND INTERESTING THAT THEY DON'T FOLOOW A PATTERN- THE TYPE MIND THAT CAME UP WITH BUD WEISER IS NOT THE SAME THAT CAME UP WITH NATILIE DRESSED. EVER SINCE ADAM ZAPPLE I HAVE TRIED TO PUT TOGETHER SOME OF MY OWN... WITH ZERO SUCCESS. AS I GO THRU TH E LIST I CONSTANTLY THINK" HOW COME I NEVER THOUGHT OF THAT?" IF YOU GOT A LETTER FROM JIM NASIUM- YOU WOULD THINK SOME GUY NAME JIM WROTE IT.. NO? NOW WOULD YOU RECOGNISE **** O'DRILL, BEN **** AS BENEDRYL? I HOPE WE GET A GOOD CROWD TODAY OF BRAWNY MEN TYPE... WITH DIFFICULTY WE GOT JODY'S STOVE IN THIS ROOM SO YOU ALL COULD SEE IT AT MAIL CALL... IT EXHAUSTED JODY AND STEVE#2 TO GET IT IN HERE- I FIGURE I BETTER WAIT FOR MORE HELP TO GET IT OUT... IN THE MEANTIME WE HAVE A VERY STRANGE TABLE... NOW PROVIIDING A HORIZONTAL SURFACE ON WHICH WE MIGHT COLLECT THINGS. SHE ALSO NEEDS HER TEETH FLOATED AND PROBABLY WORMING TOO... BRYAN...... YOUR CALL. !!!! july 28 2018---*** ornery computer today ??? emailing gone??? HALEY DID YOEMNAN SERVICE.... IT WAS A LONG DAY OF FILLING IN THE HOLES AS THEY APPEARED... I DON'T THINK SHE EVER GOT ANYTHING TO EAT... YET SHE WAS THERE WITHTEH FRYING PAN OF CARROTS t the right time. i woke up to 936 comments from overnight...--- we never did get to do the "altered shatting" -- people were having such a good time relaxing-- they did teh pull and later teh stilt walking- that was enough "provided" entertainment. which of late is/was teh dryer in teh barn..
when devin came and siad " the dryer is making funny noises" that is to bud, what a chipmunk is to a dane--- attack thqt problem with intesne concentration---- and he found... a bearing had stopped bearing ----he pulled it out and showed it to me-- about a 4 inch circle thing which squeeked when spun-- without bud i could have been told to buy a new dryer-- but bud said " i think ievenhave one of those at home--making me wonder if bud's house is a warehouswe of dryer parts...... but he assured me.. it is a very common bearing-- "i recognize the part number as the same as my snowmobile machine" who recognizes part numbers to equipment they own????? not me. i wish i could add photo's to this dd... jessica gave a birthday party to her 10 year old dane--- complete with a bbq chicken with lighted candles stuck in it as a cake. she has " a lively mind" and was known as teh dop's sperm catcher- in a wild deal where we were breeding a dog and weere not sure he still had "swimmers" ( live sperm) and needed a sample to look at under the microscope-- she managed to catch just a few drops--- somehow---- and ran to the house keeping the sample warm in her armpit. it was one of those memorable events. Thanks , I needed that Sperm Run memory to cheer me up. I’ll take gift wrapping frozen rodents & delivery service, over MGH ER any day. IF I have energy, I may come by to drink with a donkey later. On second thought…….I remember Mary CHASING ME up the driveway as you observed from golf cart yelling HIDE BEHIND THE TREE! Where was beer then? Beer, Burgers and Burros - what else do you need on a Friday night? 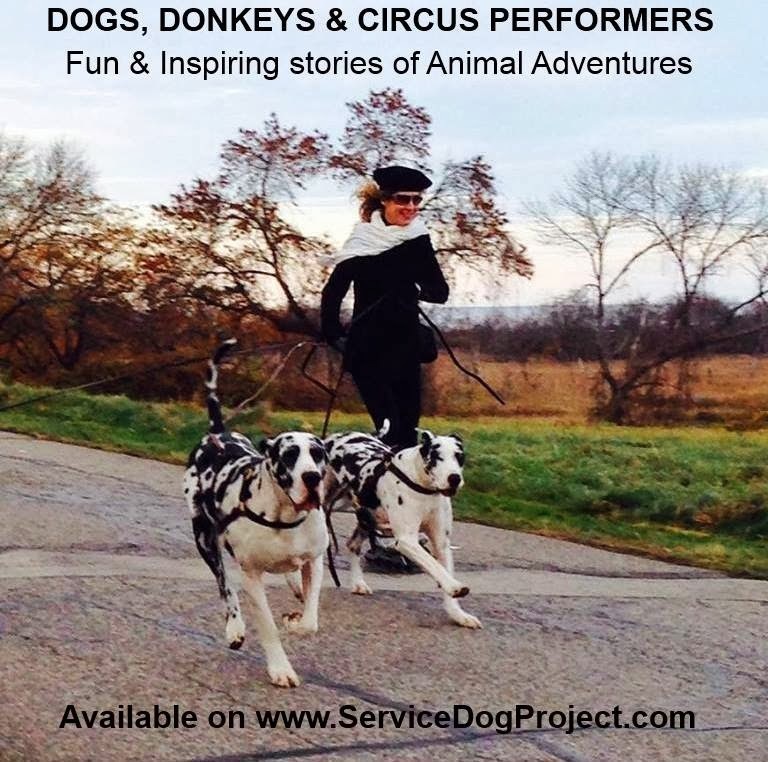 Come meet and mingle with 10 rescued donkeys and the giant Great Danes from Service Dog Project. The farm is referred to as "Crazy Acres" for a reason, but it's the good-kinda Crazy so stop by - take a selfie with a furry friend, have a beer and enjoy a night on the farm. Beer, wine and burgers (veggie & beef) included. All Proceeds go to the Equine Rescue Network. i don't have a clue on how many to expect- probably janine doesn't either.. I KNOW SHE PLANNED A COSTCO RUN LATE MORNING... WHEN I GET INVITED, I AM SURE SHE LOVES MY COMPANY, BUT I KNOW SHE ENJOYS MY CREDIT CARD EVEN MORE. I DON'T MIND....SHE HAS DONE HER HOMEWORK... AND RUNS THIS as a 501 C 3 CHArity ALSO. .janine is faR MORE "CONNECTED' THAN I AM from facebook to local .. I NEVER KNEW THERE WAS A WEB ON WHAT TO DO IN IPSWICH--- SHE HAS THIS BBB PARTY LISTED THERE... MAKES ME WONDER IF WE SHOULD LIST OUR SUNDAY OPEN HOUSE..... THERE ARE SOOOO MANY LOCAL PEOPLE WHO DO NOT KNOW ABOUT US-- WHICH CAN BE GOOD OR BAD..
.there are those "aren't you afraid that xxxxxx......?" of course.. i am always afraid- but there are times when there are things worse than being afraid... like doing everything designed by someone else. so if we get raided by the prudence committee, it will be just another episode in the life of crazy acres....after tonight maybe a whole world could know about us --- hopefully for a positive reason... like teh news needs a pleasant ,offbeat, upbeat story. from puppy hill camera.... jody has decorated teh front of the ice house with a bunch of "plantings" -- she bought things that "spread" so if it turns into a veritable jungle... it is all jody's doing.. I'm not sure when I'll be able to update everyone on Facebook etc but wanted to send you an update! I had surgery this morning, everything went well although it does look like I will need more surgeries. There was a debate on if I should have a very complex surgery all at once but my surgeon agreed that it would be too much for my body. They are trying their hardest to keep me comfortable and working on a plan. We aren't sure on a discharge date yet as it is dependent on what the next plan is. Elvis has been incredible! My surgeon and entire team loved him from day one but love him even more now. He is adamant not to leave my side. He isn't happy at all if he has to leave my room even if it is for someone to take him out to the bathroom! They haven't been able to even get me to sit up yet but Elvis is always listening to my every word and staying focused at all times! Hope you and everyone at SDP are having a good week! AND TO THINK I HAVE THE NERVE TO COMPLAIN ABOUT MY SORE ELECTROCUTED TOE. THE GERMAN PPP'S AND PAPERWORK-- I SHUDA KNOWED-- THE GERMANS HAVE EVERYTHING ORGANIZED....- I THOUGHT WE BORDERED ON EXCESSIVE WHEN WE RECORD EVERY BIRTH/ TIME / WEIGHT ETC... THEY HAVE AN OFFICIAL FORM... WHICH INCLUDES TYPE MOTHER, AMMOUNT OF MILK, INTERVAL BETWEEN PUPS? (1/2 TO 5 HOURS) , breach /, SCROTUM, NUTRITIONAL STATE AND COLOR... ONE HARL ONE MERLE AND 3 BLACKS... FROM BLACK X HARL PARENTS. WHILE NAPPING IN MY CAR....JUDY WOKE ME " THERE IS A HUGE TRUCK AT THE BOTTOM OF THE DRIVEWAY WITH A 350 POUND ROUND THING THAT NEEDS TO BE UNLOADED..." NEWLY AWAKE... I RODE DOWN IN THE TRACTOR ( AIRCONDITIONED) AND DID NOT PUT ON THE FORKS FOR LIFTING-- I REALLY SHOULD HAVE... i carried it up the drive precariously balanced- all ready to tip backwards into my shaterable window... we made it. LAST WEEKEND WE WENT TO BAR HARBOR, GRETCHEN HAD HER FIRST CAMPING TRIP AND LOVED IT! WE WENT MINI-GOLFING, WENT TO SAND BEACH, THUNDER HOLE, GOT ICE CREAM AND WENT SHOPPING! THIS TRIP WOULDN'T OF BEEN POSSIBLE WITHOUT GRETCHEN TO ASSIST ME! SHE DID WONDERFUL AND GOT SO MANY COMPLIMENTS ON HOW AMAZING SHE IS! SHE PREVENTED ME FROM FALLING MANY TIMES AND HELPED ME WALK ON ROUGH GROUND AND UP AND DOWN SOOO MANY STAIRS. LIFE IS MUCH EASIER WITH YOU BY MY SIDE! Good morning Carlene, I hope all is well and thank you for the nice write up’s on the doggie daily. I do have to pinch myself sometimes to realize how far I’ve come but I really do owe it all to you. Thank you for giving me that chance. INVEST IN BOX CUTTERS !!! this new modern way of GETTING A BOX FULL OF EXACT INGREDIENTS FOR meal preperation has iit's virtues -- i am not sure it is very much more expensive on the long run either.-- sure is alot less waste !-- we have been getting 8 meals ( of 2 kinds) from blue apron-- del on saturday-- which pam cooks sunday/monday-- and they are gone by tuesday-- the meals are "good sized" great variety-- and if the recipie calls for a tablespoon of vinegar, you get a tablesopoon of vinegar. yesterday- for teh first time someone sent a lunch package which we will eat today-- loaves of bread/ meat... cheese... mustard... and pickles etc... CP lynn herbert ordered it from zingerman's--- it all looks in perfect shape-- i am told there are 5 containers of icecream in teh freezer which came with it. I DON'T LIKE THINGS CAPABL;E OF FUNCTIONING THAT DO NOT FUNCTION PEOPLE OR OBJECTS) SO NOW WE NEED TO GET STOVE PIPE SO WE CAN LIGHT THE THING--- IT HAS AN EXIT HOLE OF 4 3/8 INSIDE DIMENTION ( ID) AND 4 3/4 OD WHICH STARTED THE HUNT.... MOST STOVE PIPE COMES 6"
IF I HAD TO WALK AROUND HOME DEPOT AND THE LIKE FOR THIS ODD SIZE STOVE PIPE, THAT LITTLE STOVE WOULD NEVER BE OPERATIONAL .. THANKS TO AMAZON I CAN SIT AT MY DESK AND NOT FIND IT EITHER... BUT AT LEAST I AM MORE COMFORTABLE TRYING...-- I MIGHT YET LOCAT A 4 TO 6 INCH AFDAPTER-- OR SINCE IT IS OUTSIDE JUST USE TEH 6" WITH ALOT OF GOOP. THE POSSIBILITY OF FINDING TEH PARTS ON AMAZON IS WHAT MADE THE DE-RUSTING A VIABLE PROJECT IN THE FIRST PLACE. Last weekend, I had THE BEST weekend since I was reunited with my big brother!! I knew that Mom had been planning a special trip to New York City, but I had no idea that we would enjoy it this much!! And it wasn’t just about seeing Asher, since I also saw Miss Haley again and met the lovely woman that my brother helps!! But he is SO MUCH taller than I remember. I was so excited to teach my brother some new things, including about aspects of life in the city. Our first order of business was just that — literally business. We all went for a walk to a nearby park, which was all concrete & brick, much to his disappointment. He looked at me in shock, saying, “This is a park?!?”. I explained to him that there are very few spots of grass, so that he was going to have to get used to going on the concrete. We had managed this at the Farm, by the going in the area outside the kennels, but Asher wasn’t happy about this necessary aspect of city living. I showed him how is done, but he held out for awhile. A small area of dirt surrounding a tree seemed to help him. I think all of us — pups & people — were relieved when he managed to go outside (groan, bad pun intended). I was so proud to be outside walking with Mom, alongside my handsome brother, who was busy helping his Mom. And of course I was happy to see Miss Haley, too, though of course I focused on Mom while in vest. Once out of our vests, Asher and I relaxed while all the humans chatted, although we were both close to Miss Haley, too. She gives very good rubs & scratches. She also looked at me repeatedly over the weekend and said that I was “perfect.” I just LOVED hearing that from her. One of my favorite parts of the trip was sharing Central Park with my brother and the humans. We visited early in the morning, for off-leash time, so Amazing Asher & I were able to play together. Then Miss Haley joined in the fun and that was even better!! ((SEE PHOTO)) My tail was wagging lots & I was a giddy girl. We did zoomies together, although some of our enthusiasm was tempered by the warm weather. It didn’t take long for us to start to “wilt” in the heat, as shown by our long tongues. The humans decided that we should cool off by enjoying the Met together. Then we were off to Broadway to see Chicago. Ok, to be specific, the humans were to enjoy Chicago, while Amazing Asher & I planned to have a good sleep during the show. It took us some time to hail a cab, but we managed to get a minivan cab so we could all fit. I was also excited to show my brother how to ride in a cab. He was pretty easygoing about it, and I think the cabbie was more nervous, asking, “Are you SURE that you’re all going to fit?” as we piled in. Mom said, “Of course.” After all, this cab was relatively roomy, so we were able to fit just fine, although Haley had to sit in the front. I had the seat by the window, since I went in first, and I think that Asher was a little jealous of the view. Lol ((SEE PHOTO)). We were impressed with the kindness & efficiency of the staff at the theater, since a Security Guard quickly brought us in, and the Manager showed us to our seats. The view inside the theater was impressive ((SEE PHOTO)). We settled in and the humans were ready to enjoy the show, while I was tired from our activities so it was nap time. I had a seat all to myself, so I was next to Mom, and not in the aisle at all. ((SEE PHOTO)) I happily fell asleep, despite the singing and music. somebody said....... it was going to rain all week... and listening to national news i heard things like 6 inches of rain--- i got all excited and dug out my rAINCOAT- AND GOT READY TO WATCH MY " DRAINAGE SYSTEM" OUT BEHIND THE ICE HOUSE.... HOWEVER... BOSTON WEATEHRE SAID SCATTERED SHOWERS- WHICH IS NOT NEARLY AS INTERESTING AS 6" OF RAIN.- HOW MUCH IS 6"? WELL..... VERY LOCALLY... 2" WILL CAUSE OUR UPPER POND TO OVERFLOW INTO THE POND WITH THEFOUNTAINS.... 3 INCNES WILL CAUSE TEH LOWER POND TO WIPE OUT OUR NICE PATH AROUND THE POND AS IT RUNS OFF THRU THE SWAMP INTO THE LAKE ACROSS TH E STREET... ?SCATTERED SHOWERS?-- DON'T EVEN DESERVE A RAINCOAT. CAN'T BELIEVE EVERYTHIGN YOU HEAR.. ALL WEATHER IS LOCAAL... OR WAS THAT POLITICS? AS FOR CAPITALIZING EVERYTHING-- SEE THAT WORD RAINCOAT... BACK THERE? IT IS THE "A" IN RAINCOAT THAT CAUSED THE FAULTY PINKY FINGER TO HIT THE CAPS LOCK.... IT IS A SOMETIMES THING. Thank you, Carlene, Bentley and Sizzle for an UNFORGETTABLE activity!!! Our residents and staff were thrilled and amazing by our four legged guests. People went home and talked about the dogs. I wrote down so many hand written URLs to your website! I got to talk on and on and on about the live feeds, your open house, volunteering, and having 55 Great Danes at home! We put the live feed up of Puppy Hill on out TV during lunch. Residents were asking us when you will be coming back! Family members were so bummed they missed seeing the dogs. THIS WAS THE PLACE WHERE AN EMPLOYEE ASSUMED I WAS ONE OF THE RESIDENTS IN A WHEELCHAIR--- WHICH I WAS IN BECASUE IT WAS A PLACE TO SIT. CASE I POINT.... I DON'T THINK SCOTT WILL MIND MY SAYING HE WAS MAYBE TEH WORST APPLICANT TO RECIEVE ONE OF OUR DOGS.... IN HIS VIDEO https://mountainlake.org/vch-turning-a-mess-into-a-message/﻿HE TELLS OF SUICIDE, ALCHOLOL, ARREST..- FOR 3 BIG ONES.... AND HE LANDED AT OUR DOOR.. IT WOULD HAVE BEEN SO EASY TO SAY " ANOTEHR ADI FACILITY MIGHT SUIT YOU BETTER" EXCEPT DASH LIKED HIM.... WHO AM I TO OVERRIDE A DOGS OPINION?? SO WE CAREFULLY WENT WITH THE PARTENRSHIP... AND DASH HAS DONE A WON=DERFUL JOB... WITH SCOTT, AND SHOWING THE STATE OF NEW YORK THE BENEFITS OF A WELL TRAINED DOG..
Good morning. So here’s a Little update on Dash and I’s adventures as of late. Two weeks ago we were at Falk / Syracuse University thanks to the invite from Melinda Stoffel and her associates at the college . Was a great turnout and we definitely had a positive impact . This past Wednesday ( 6-20 ) we were in Malone NY for a NYS training seminar for over 130 Law Enforcement, corrections and veterans . The event was amazing and from the feedback I got and the standing ovation ( which seemed to last forever ) at the end I can 100% say we had a major impact on a the majority in attendance . Its times like these that I can proudly hold my head high and feel so grateful for all the blessings that life has to offer . I owe so much to each and every one of you at the SDP and the CP’s. Because without you I wouldn’t have my Dash with me walking along beside me in this amazing journey . So as I look forward to many more presentations( one being the Hope Changes Everything conference this fall in Lake Placid ) I am empowered by each and every one of you . You are a army of love and hope. You’ve given me both. i did hear "whatever makes you think a 48 pound kid can control a 130 pound dog?" - so now when i hear "what makes you think......" my answer is purely "dumb luck"
it must have been will rogers or benjamine franklin "' if you have a choice between brains or luck... take luck"
and in some cases-- take the dogs word for it as opposed to common sense.... because sense aint common. GEORGE IS A PLEASURE TO HAVE IN CLASS. let me be clear... a well trained draft horse has a valuable education about tehir size in relation to stuff tied to the rear of them-- if theri traces hit thier hind ankles the y are trained to stop and wait for someone to tell them what to do. and if you yell whoa-- they stop and stand---- no fidigeting like a "normal" horse woudl do.... they just stand there.. i once handled the lead team of the walt disney hitch-- you coudl yell whoa... then go have coffee and they would still be standing shock still 20 minutes later when you came back. those were horses... mo is a mule... she knows all that-- except she also knows a bunch of clowns she can take advantage of... when she sees them. i had planed to have herr eat carrots while we harnessed her- knowing that would make her stand still. janine decided "once you start feeding her , her mind will be only on food so lets just make her behave from the start..." does that sound like what i say about training dogs?????? janine set her up with a whoa and started draping the harness over appropriate parts of mo.. mo noted teh cdocnfusion- and took a step[ forward-- just one... and waited while jody janine fiddled with buckles etc.. so she took another step... just a little one to be sure they were not paying attention... she started for another step at which point janine noticed and made her turn around where i was sitting...handed me the rope with a loud " knock it off... whoa"-- so mo stood. once dressed mo was "ok, i am on it" and showed she knew more thatn they did aobut stepping carefully around stuff in the arena-- with janine on the reins....jody, eileen and susie hanging onto the rope behind to show mo what was going to be the job at the party friday night where we hope to have a tug of war between a bunch of people and mo- where i fully expect mo to walk off "like she is going to church" dragging the people behind her. should be an interesting demonstration.... hopefully. i think i can relate to that-- at 80, and retired, if someone offered to pay me to wear a giant hot dog suit, i would think it was a great idea. i don't know where some people get the idea that work is bad.. it can be darn annoying at times, but no work is awful. 10:00am i said we were going to harness mo... and we really should... how we will do this in the pouring rain , i am not sure... probably in the arena to be on camera..
WE NEED TO DO THIS IN PREP FOR JANINE'S "PARTY" FRIDAY NIGHT 5:30 - 7 ISH -- I WOULD LIKE TO GET 1800 POUNDS OF PEOPLE DOING A TUG OF WAR WITH 1800 POUNDS OF MO WHICH SHOLD BE FINE... BUT LAST TIME WE TRIED IT , WE STARTLED MO... SHE DID NOT EXPECT TO BE PULLING ANYTHNG AGAIN AND NEEDS TO HAVE IT EXPALINED TO HER THAT THESE TEMPORARUY JOBS ARE PART OF RETIREMENT. I AM SURE SHE KNOWS MORE ABOUT PULLING THAN WE EVER COULD... SHE DID NOT GET THOSE SCARS ON HER SHOULDERS GRAZING IN A PASTURE. HOWEVER ---- MO KNOWS-- OR HAS FIGURED OUT -- SOME OF THE THINGS WE DO NOT KNOW AND COULD TAKE ADVANTAGE OF OUR INEXPERIENCE.. I HOPE TO BUY HER OFF WITH CARROTS. i went to my doctor today. She said she has never seen me doing so well and happy. I truly believe this is because of Washer. I can't thank you enough. steve and tanner will apparently be around today on their way to oregon for baseball camp... apparently tanner has developed a talent for throwing a baseball with accuracy- namely from home base to second base... like thru a car tire at second base....??? really...??. in the case of future earnings... this equates baseball camp to a harvard education... being a mike rowe type-- i think teh investment in baseballs and tires would make more sense... we do wish him well... hopefully when he comes back we will be able to make sure he can wear the usual size baseball cap as he did when he left. OK NOW FOR THE VERY GOOD AND FUN NEWS! WE RECEIVED AN EMAIL TODAY REQUESTING THAT EVE SEND IN ANOTHER AUDITION TAPE OF THE NEXT 2 SCENES!!!!!!! SHE IS BEING CONSIDERED FOR A PART IN A NEW NETFLIX SHOW CALLED RAISING DION. (GOOGLE IT TO SEE THE TRAILER) SHE WOULD BE THE MAIN CHARACTER’S BEST FRIEND WHO APPEARS IN EVERY EPISODE!!! ALSO WE GOT TO MEET WITH FORMER CAMERA OP AND CP KATHY CALLAHAN AND HER HUBBY FOR DINNER. WE HAD A GREAT TIME AND FINN ALSO GOT A YUMMY GOURMET DOGGIE TREAT! like senior/nursing homwes-- whech judy andn mora are arraingeing... we went to revere yesterday and as i sat in a wheelchair , just for somewhere to sit,....NEXT TO A 101 YEAR OLD WOMAN.... the pt guy came in aNd patted me in the head thinking i was one of teh residents... WHOA !!!! LAST FRIDAY, ASHER AND I GOT TO TAG ALONG WITH HALEY, WHOM MANY OF YOU KNOW FROM AROUND SERVICE DOG PROJECT, AND THE THREE OF US HEADED TO THE BIG APPLE! AS FAR AS I KNOW, THIS WAS ASHER’S FIRST TRIP TO NEW YORK CITY, AND I WAS INTERESTED TO SEE WHAT HE’D THINK OF IT. I’VE BEEN THERE AT LEAST A FEW TIMES, BUT THIS TIME I WOULD GET TO SEE MY FIRST BROADWAY SHOW! NOW, NOT BEING FAMILIAR WITH THE BIG CITY, WE WERE THRILLED TO MEET UP WITH THE BEST GUIDE WE COULD ASK FOR: SDP SERVICE DOG (AND ASHER’S SISTER) SEAGRAM SEVEN! I THINK I CAN CONFIDENTLY SAY THAT WE ALL—TWO-LEGGED AND FOUR-LEGGED—HAD SUCH A FUN TIME TOGETHER; IT’S ALWAYS WONDERFUL TO MEET OTHER WORKING TEAMS FROM SDP, AND I KNOW ASHER AND SEAGRAM LOVED THEIR TIME PLAYING TOGETHER IN CENTRAL PARK! WHEN I BROUGHT ASHER HOME A YEAR AGO, I GAINED SO MUCH MORE THAT JUST HIM; I’VE SO ENJOYED GETTING TO KNOW OTHER MEMBERS OF OUR BIG SDP FAMILY THIS YEAR, AND ASHER LOVED GETTING TO RECONNECT WITH BOTH SEAGRAM AND HALEY! ASHER IS ALWAYS UP FOR ANYTHING, BUT I WAS PARTICULARLY PROUD OF HIM OVER THIS TRIP. WE DON’T SPEND MUCH TIME IN BIG CITIES (BECAUSE I’M NOT REALLY COUNTING DOWNTOWN PROVIDENCE AFTER SPENDING TIME IN BOSTON AND NYC THIS MONTH ), BUT NO ONE WOULD KNOW THAT BY LOOKING AT HIM. NOTHING FAZED HIM, AS USUAL. I GREW UP IN THE SUBURBS, AND SINCE MOVING TO NEW ENGLAND, I’VE REALLY ENJOYED SPENDING TIME IN DOWNTOWN AREAS. EVEN THOUGH I DON’T HAVE THE BEST STAMINA, THERE’S JUST SOMETHING ABOUT THE CONSTANT HUSTLE AND BUSTLE AND CITY NOISE THAT I LOVE. AND WITH MY CULINARY BACKGROUND, I CAN APPRECIATE THE FOOD SCENE WITHIN NEW YORK CITY IN A WAY THAT MANY OTHERS JUST CAN’T. ADD IN MY LOVE FOR ALL THINGS BROADWAY, AND THERE’S PROBABLY NO BETTER PLACE FOR ME! BUT I HAD STUCK TO ADMIRING NYC FROM AFAR IN THE PAST—EVEN WHEN I WOULD GO FOR A DAY TRIP IN COLLEGE, IT WAS TOO OVERWHELMING TO NAVIGATE. I CAN REMEMBER GETTING BACK TO CAMPUS LATE ONE NIGHT AND COULD BARELY MAKE IT BACK TO MY DORM, MY BODY WAS JUST SCREAMING WITH ALL THE WALKING WE HAD DONE THAT DAY AND EVERY MUSCLE WAS ALMOST TOO SORE TO MOVE. STAYING OUT OF THE WAY OF SO MANY PEOPLE WAS A CHALLENGE, AND I’D ALWAYS RETURN DISCOURAGED. I WANTED TO LIKE IT, IT WAS JUST TOO BIG. WHEN GOING TO BROOKLYN LAST YEAR TO TOUR A LAW SCHOOL JUST PRIOR TO BEING PAIRED, I DIDN’T FEEL LIKE THERE WAS ANY WAY FOR ME TO LIVE AND NAVIGATE SAFELY IN THE CITY SO I LOOKED FOR A BETTER FIT. THIS TRIP, THOUGH, WAS SO DIFFERENT. I OFTEN SAY THAT ASHER LIKES TO EXPLORE AS MUCH AS I DO—I KNOW THAT DOGS ARE CREATURES OF HABIT AND ARE HAPPIEST IN A ROUTINE, BUT I TRULY THINK ASHER GETS BORED IN OUR DAY-TO-DAY TRAVELS SOMETIMES. AS WE STROLLED AROUND MANHATTAN WITH SEAGRAM AND HER HANDLER, ASHER MOVED AT A GOOD FORWARD CLIP, NOT USUALLY HIS SPEED OF CHOICE, AND HELD HIS TAIL UP HAPPILY WHILE HE TOOK IN OUR SURROUNDINGS, ALL THE WHILE KEEPING HIS FOCUS ON ME. HE MADE THE LONG WALKS ENJOYABLE FOR THE FIRST TIME, AND I FELT SO MUCH MORE CONFIDENT IN SUCH A BIG PLACE WITH ASHER BESIDE ME. WE EXPLORED SOME BEAUTIFUL AREAS WITHIN CENTRAL PARK, ENJOYED PERUSING SOME OF THE BEAUTIFUL EXHIBITS IN THE METMUSEUM AND I THINK HE ENJOYED A GOOD NAP WHILE WE ALL SAW CHICAGO THE MUSICAL ON BROADWAY. WITH ASHER, I CAN’T WAIT TO GO BACK AND DO IT ALL AGAIN! WE MAY BE IN TINY RHODE ISLAND FOR NOW, BUT WHO KNOWS—MAYBE ONE DAY WE MIGHT FIND OURSELVES RIGHT IN THE MIDDLE OF ALL THAT CRAZINESS IN A BIG CITY. I KNOW I COULD DO IT WITH HIS HELP! IT’S FUNNY, THERE ARE LOGISTICS WITH A DANE IN NYC THAT I NEVER THOUGHT ABOUT, AND EVEN MORE TO THINK ABOUT WITH TWO OF THEM! ASHER AND SEAGRAM DID SEEM TO REMEMBER EACH OTHER FROM GROWING UP ON THE FARM; NO FORMAL INTRODUCTION WAS EVER NECESSARY AND THEY CERTAINLY DIDN’T MIND BEING IN SUCH CLOSE QUARTERS AT TIMES. TWO DANES IN A TAXI? WE MADE IT WORK! SAME WITH UNDER A TABLE IN A CRAMPED RESTAURANT, AND WAITING IN A CROWDED AREA FOR A TABLE BEFORE WE ENJOYED HUGE ICE CREAM SUNDAES AT SERENDIPITY 3. BUT ASHER GREATLY APPRECIATED SEAGRAM’S INSTRUCTION ON PROPER BATHROOM ETIQUETTE IN MANHATTAN WHERE THERE’S NO GRASS TO BE FOUND ANYWHERE FOR A QUICK POTTY BREAK: JUST SQUAT RIGHT DOWN ON ANY ACCEPTABLE PLOT OF CONCRETE AND GO! THIS WAS A TOTAL SHOCK TO ASHER, WHO LOOKED AT ME LIKE I WAS CRAZY WHEN I TOLD HIM TO GO POTTY RIGHT ON THE SIDEWALK (WE DON’T HAVE MUCH OF A YARD WHERE WE LIVE, BUT WE AT LEAST HAVE A FEW GOOD FEET OF GRASS). BUT WITH LOTS OF ENCOURAGEMENT AND BEGGING FROM ME, HE FOLLOWED SEAGRAM’S LEAD AND BY MORNING, HE WAS POOPING OUT THERE LIKE ANY OTHER NYC RESIDENT PUP (AND THAT, I LEARNED, IS WHY HUMANS PROMPTLY REMOVE THEIR SHOES ONCE THEY GET INSIDE THEIR HOMES IN THE CITY!). ASHER AND I ARE SO THANKFUL TO SEAGRAM AND HER HANDLER FOR SPENDING TIME WITH US AND SHOWING US AROUND—ASHER HAD SO MUCH FUN CATCHING UP WITH HIS SISTER AND I SURE LOVED WATCHING THEM! WE PACKED SO MUCH INTO THE COUPLE OF DAYS WE HAD THERE, AND IT WAS DEFINITELY A MEMORABLE WEEKEND. I QUITE LITERALLY COULDN’T HAVE DONE IT WITHOUT ASHER, AND I LOVE NOTHING MORE THAN BEING ABLE TO SHARE SUCH FUN EXPERIENCES WITH MY BEST FRIEND! cakes to fire department day !! WELL WHAT A CRAZY PAST FEW DAYS WE HAVE HAD! WITH SO MUCH GOING ON HEALTH WISE I HAVEN'T HAD ANY TIME TO JUST TAKE A BREAK FROM THE "HOSPITAL LIFE" BUT ON SATURDAY AFTER A HECTIC WEEK IN THE HOSPITAL WE GOT ON A PLANE TO NORTH CAROLINA! ELVIS ACTED LIKE A COMPLETE PRO IN THE AIRPORT AND ON THE PLANE! HE REMAINED FOCUSED THROUGH EVERYTHING INCLUDING WHEN WE WERE ASKED TO GO BACK AND FORTH THROUGH SECURITY MULTIPLE TIMES  JETBLUE LOOKED AFTER US VERY WELL, GIVING US PLENTY OF SPACE AND WERE VERY ACCOMMODATING! ELVIS LOVED LOOKING OUT OF THE WINDOW AND DESPITE GETTING VERY HOT IN THE MIDDLE OF THE FLIGHT HE REMAINED AS COOL AS COULD BE! IT WAS THE FIRST TIME IN A LONG TIME BEING ABLE TO WALK THROUGH THE AIRPORT INSTEAD OF BEING IN A WHEELCHAIR! THE REST OF THE WEEK WAS SPENT RELAXING WITH FAMILY AND THIS AFTERNOON WE ARE HEADING BACK TO BOSTON. ELVIS HAS LOVED NORTH CAROLINA AND ALL THE FRIENDS HE HAS MADE HERE AND WE CERTAINLY DON'T FEEL READY TO TRAVEL BACK BUT WE KNOW WE HAVE IMPORTANT APPOINTMENTS BACK AT THE HOSPITAL! ELVIS HAS LOOKED AFTER ME EVERY SECOND OF THIS TRIP ALLOWING ME TO DO THINGS I WAS NOT ABLE TO DO LAST TIME I WAS HERE AND IN THE TIMES I STRUGGLED OR MY HEALTH STARTED GETTING THE BEST OF ME HE PICKED ME RIGHT BACK UP! HE IS THE ONLY REASON I WAS ABLE TO MAKE IT DOWN TO NC FOR THIS SHORT GAP IN BETWEEN HOSPITAL DAYS TO SPEND TIME WITH MY FAMILY AGAIN! TOMORROW IT WILL BE BACK TO THE HOSPITAL AND FIGHTING TO KEEP ME LIVING THE BEST QUALITY OF LIFE POSSIBLE! THANKFULLY I HAVE ELVIS BY MY SIDE TO MAKE SURE THIS HAPPENS  WE HAVE A FEW EXCITING ADVENTURES PLANNED BEFORE SURGERY SO WE WILL KEEP YOU UPDATED! Appts this afternoon for X-rays and Dexa scans! Dexa scans measure Eve’s bone density. We will discuss the results tomorrow. But this evening we had a fun meet and greet with Some CPs and fans! I think we all enjoyed it but maybe Finn the most of all since he got so many extra scratches!! Finn has claimed the pullout couch for his own personal bed in our room! Thank you Jennifer, Joan and Kathy Caywood for today’s visit!! AJay, I am still in the hospital, it is going on four weeks. The virus is over, but I am dealing with what the virus has done to my body. It did a lot of damage to my heart, my lungs and kidneys. My cardiologist has exhausted all treatment he told me he threw the book at me and everything else he could try, He never gave up, kept trying to make it function properly and they called in a kidney specialist and damage has been done and he too exhausted all he could do and more, therefore I am going on dialysis. I have had excellent care with with top notch specialist. I have outstanding insurance coverage, so there is no problem getting the care I need and the best. My started my dialysis this week and when they see it is possible to leave, II will then go to a rehab center before I go home. My intentions were to get home to give you a report and of course to Carlene and CP's. This has been a very difficult time and very difficult decision I've had to make. My family has been with me all the way and I could not have made it through it without them. pass this on to Carlene and to the CP's. You have my permission to do so. Love you and thanks for your concern for care. TIGHT BLUEJEANS--- WHO KNEW THE VALUE? I BET YOU ALL KNOW THE NORMAL AS AN AUTOMATIC ALARM SYSTEM - " THESE JEANS ARE GETTING TIGHT- AND THEY ARE OLD ENOUGH TO VOTE, NOT SHRINK"
WELL HERE ARE 2 OTHERS-- THE FIRST ONE OF MY MORE DUBIOUS BRILLIANT CONCEPTS... WHICH NEEDS PASSING AROUND.... I THINK IT WAS WATCHING HUNTER( AGED MAYBE 11 ISH??) STRUGGLE WITH HIS WALKER-- IT WAS A VERY NICE WALKER.. HE LIFTED IT .SWUNG/ OR ROLLED IT FORWARD, RE-ADJUSTED HIS CENTER OF GRAVITY AND SWUNGD ONE LEG, THEN THE OTHER FORWARD... AND WAS BACK TO LIFTING AND SWINGING... AN ALTERNATE SOLUTION WAS ARMS... PEOPLE'S ARMS-- HELD AT THE ELBOW BUT EAQCH HAS A VERY FANCY HINGE ABOUT 12 INCHES ABOVE THE HOLDING POINT. THIS HINGE ALLOWS TEH PART ABOVE TEH ELBOW TO SWING 3 WAYS FORWARD , BACK., AND OUT ( NOT IN BECAUSE TEH VERTICAL PERSON'E BODY IS IN THE WAY) - HOWEVER THERE IS ONE PERFECTLY STABLE HOLDING POINT THAT REQUIRES NO PLANNING AHEAD OR FANCY HARDWARE... THE BACK POCKET OF SOMEONE'S BLUE JEANS IS A PERFECT WALKING DEVICE. THE SECOND BONUS TO TIGHT JEANS... TOOK ME A WHILE.... PREVIOUS AILMENTS LEFT ME WITH A FEW MUSCLES THAT DON'T BEHAVE AS THEY SHOULD...THEY COMPLAIN ABOUT WORKING TOO HARD... AND CARRYING A FEW ESXTRA POUNDS DOESN'T HELP... HOWEVER AS TEH POUNDS INCREASED TO NECESSITATE LARGER BLUE JEANS-- OR FINALLY NURSE SCRUBBS... I NOTICED THOSE FEW BACK MUSCLES WENT ON STRIKE ENTIRELY WHEN IN SCRUBBS.-- HOWEVER ON DAYS WHEN MY SCRUBBS WERE IN TEH WASH- AND I HAD TO WEAR THOSE VERY TIGHT BLUE JEANS, THEY PROVIDED SOME LOW BACK SUPPORT. IT IS MINIMAL BUT......I WENT BACK TO BLUE JEANS...--- NOW ATT EH END OF THE DAY.. WHEN I TAKE OFF THE JEANS I AM REALLY LIMITED AS TO THE NUMBER OF STEPS BEFORE I HAVE TO HANG ONTO -- OR SIT ON SOMETHING. so back to the tight bluejeans... - i have a choice.... as i have lost a very few pounds, i have a choice of buy smaller jeans , or eat more icecream. here july 27-- i think basically donkey people, but you can never be too sure...5:30 to 7:30 she is taking donations of $20 for tickets.. from whence cometh our donkeys and mo..
we are trying to get it thru mo's head that if she stays on the grass, she can stay out... but if she wanders, she has to go back in the pasture.-- i think she has the rules... problem is she also knows when you r back is turned..
so the training gqme is to put her in behind teh 18 inch "fence" and as she grazes throw pieces of carrots in her vicinity.. and if she gets near the barrier bang the whiffle bat on the ground and yell at her.- there is a whole science to herding-- which in her case is "if i can see them in my right eye, is there an escape route in the path out of my left eye" -- that is probably called heading them off... mostly for her it is at a walk... but a very steady one -- she also does teh calculation of ..." is the fun of listening to them run and yell worth a swat with that whiffle bat? i very nicely headed her into the barn in the alleyway where i had a frying pan of feed for her... which she ate.... and tried to shooo her into her stall... she saw that gate across teh door and flipped it with her nose- the only thing holding it shut was a monkey fist on a short rope- which usually works... however..... off she troted and i had to get laura to lead her back and actually put her in the stall. ALSO WE WILL NO LONGER CUT THE GRASS IN THAT SPACE ON A REGULAR BASIS... LETS GO FOR 6" GRASS TO EAT. HORSES AND MO- SEEM TO BITE OFF TEH GRASS AT ABOTU AN INCH LONG.. I AM TOLD SHEEP BITE IT RIGHT DOWN TO THE ROOTS. WELL OURS NOW HAVE DEEP GROVES IN THEM. PAM HAS PUT TEH 3 VIDEOS ON OUR WEB THE 30 SECOND ONE... THE 3 MINUTE ONE AND TEH 30 MINUTE ONE... MIND YOU I CAN ONLY GT 2 OF TEH 3 TOPLAY-- WHICH COULD BE MY COMPUTER,.